Each of our wooden frames is a unique piece of craftsmanship that has taken great skill and effort to produce. Our designs and final finishes come to life in the sweet, creative city of Tartu, right here in Estonia, and the wooden blanks are supplied to us by a manufacturer with over 10 years of experience in the industry. We always use environmentally friendly materials and methods to reduce our ecological footprint. Excellent customer service, very high-quality products, the orders are delivered super fast, and I must say that the products look even nicer in real life than on the pictures! I wear Prosawood’s eyewear and watch daily, and soon my collection will be upgraded with their sunglasses as well! Good luck in developing new and awesome products—can’t wait! just wanted to let you know what a great experience I had buying your product. I just love your website and the story behind it. Buying your product made me feel like starting a war on plastic. :-). The free delivery to Slovenia was in 3 working days and when I got the sunglasses…..WOW. Thank you and keep up the good work. I will bill a big promoter of your products. I’m extremely happy with Prosawood’s EST watch. It is really comfortable and stylish, and I get many compliments wearing it. The engraving on the back of the watch was also super! Many thanks to the friendly team members who have a solution for every situation! Thank you guys, I wear it with pride! I use glasses because of a medical prescription, and I need them to be attractive. Your team made them perfect! All my special requests were taken into account and implemented. Thank you very much for your ideas, for your talent! I appreciate very much your work and will highly recommend to my friends. Great customer service, easy to work with! Special ordered my non standard prescription via email with the Prosa group. Got the glasses in a timely matter and the lenses and frames look great. My first order was two amazing watches. One of them is worn by someone who used to hate wristwatches but now can’t live without one! I was convinced that the products are very high quality and the ordering process is extremely simple. My communication with Prosawood has always been really positive and pleasant! The products are with high quality and distinguishable. Customer service and the overall attitude to client is one of the best I have ever met. These guys are on the right track and doing some great things!  I have ordered Prosawood’s products many times and have never been disappointed. Their wooden phone covers are excellent. The wood feels so warm and soft and is really stylish! The wristwatch is really lightweight for its size, and you can’t even feel it on your wrist (though I expected it would feel awkward). Feels really warm and comfortable on my skin! The leather strap is also very soft and fits nicely. Long story short, I was truly amazed how wood can feel so good on the skin! Prosawood’s products and customer service are remarkable! Their products are attractive and solid, and it is an honor to wear them everywhere and any time! Both my sunglasses and watch are prominent and catch an eye everywhere I go. The customer service is always friendly and helpful. Whether it comes to fixing the watch (which I accidentally broke myself) or personal design ideas, they always find the right solution and the outcome is products that you can be proud of!